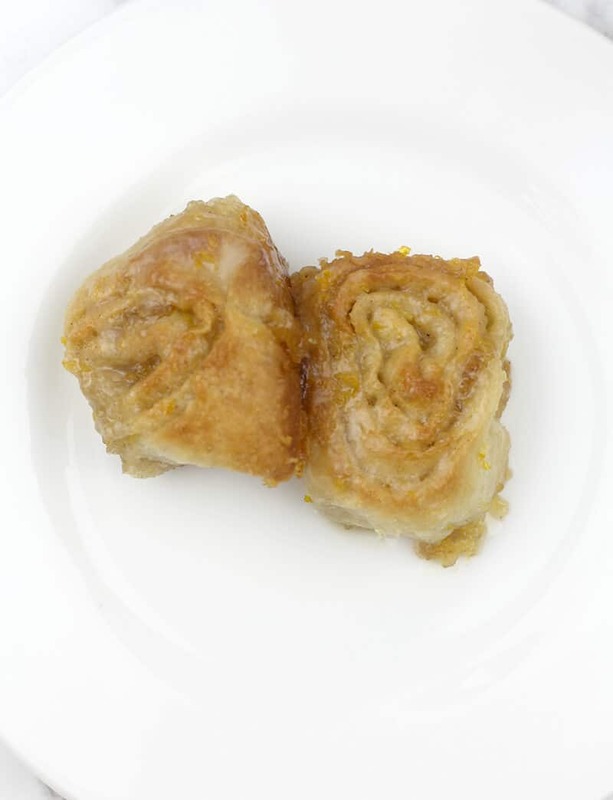 These easy Orange Rolls are made with refrigerated French bread dough, orange marmalade, and orange zest–so simple and kids love them! 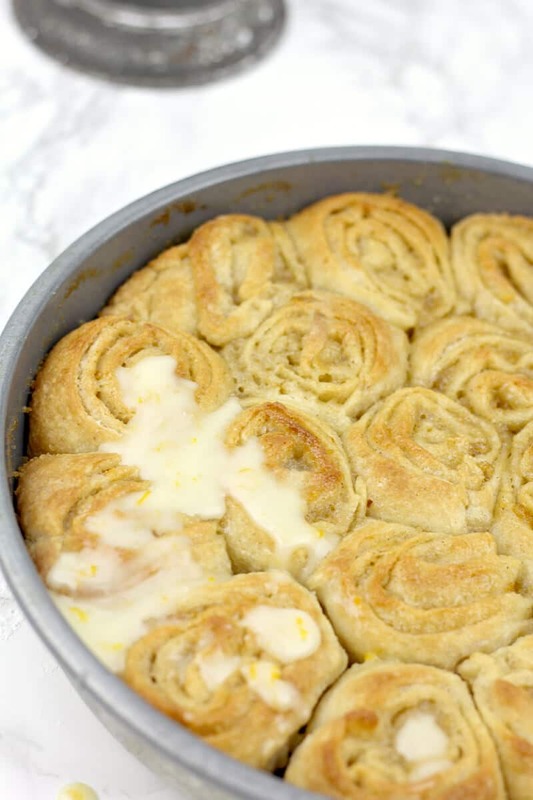 You can use either a glaze or a cream cheese icing for these simple, easy orange rolls and tantalize your guests with the smell of a bakery right in your kitchen. Now that our children are all grown, having them come home for a weekend is an event, especially if they’re bringing grandchildren! 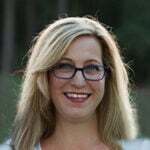 There are always activities planned—for example, this coming weekend we are going to a Braves game, and the Georgia Aquarium. And before that, we’re having family over for dinner to meet our newest granddaughter! Whenever you have a jam-packed schedule like that, it’s important to plan ahead. I like to plan meals that I can completely make ahead of time and just pop in the oven to finish, so that I’m not spending that valuable family time in the kitchen. For the extended family on Friday evening, I’m planning a Chicken Caesar Lasagna along with a salad. Probably my Pimento Cheese for appetizer, or maybe some Simple Guacamole and chips and homemade Restaurant Style Salsa, always a hit! We’ll be out all day on Saturday, so the only thing I need to plan for is breakfast and then breakfast again on Sunday. My favorite make ahead breakfasts are either Cinnamon Rolls or Breakfast Casserole. 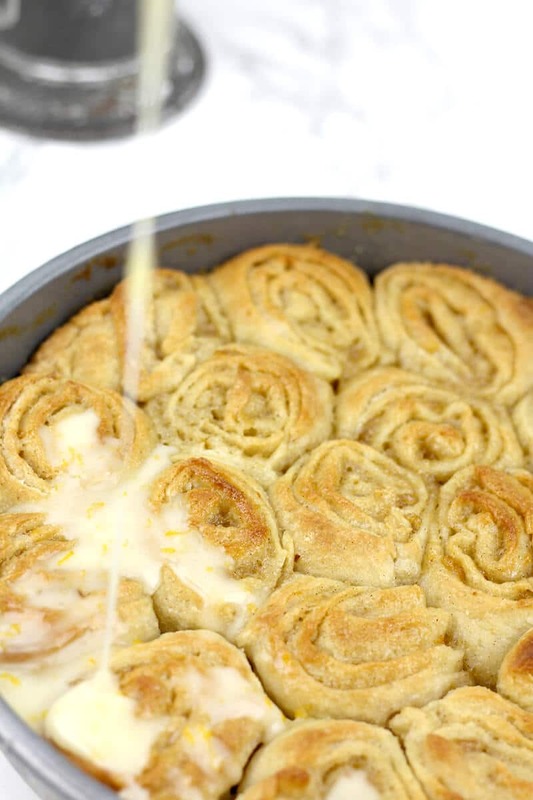 One of my newest favorites is this recipe for Orange Rolls with Cream Cheese Icing. 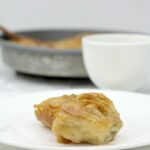 You can make these Orange Rolls ahead of time if you want, although they are so quick and easy that I sometimes just make them right when I want to bake them. 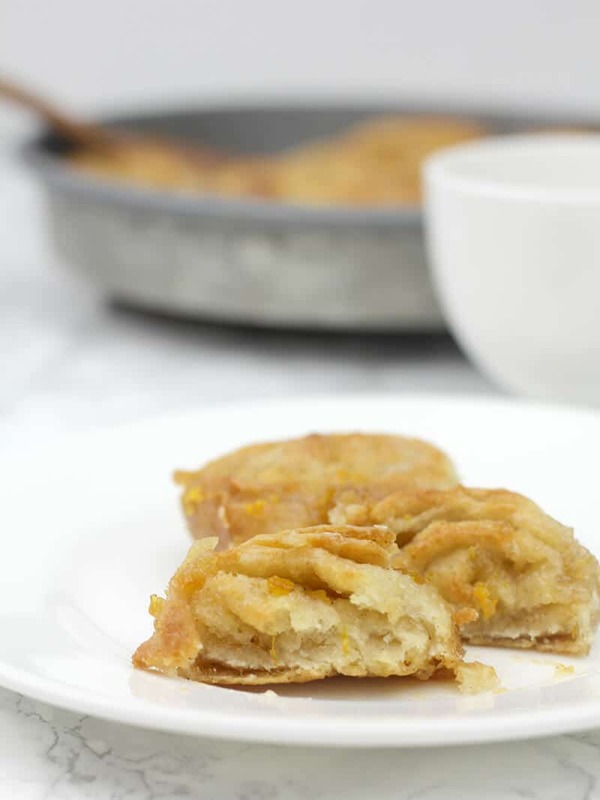 I pulled this recipe from Southern Living magazine several years ago but it has been sitting in my recipe files for years and I had never tried it. Do you do that? I probably have hundreds of clipped recipes that I always meant to try but never have! 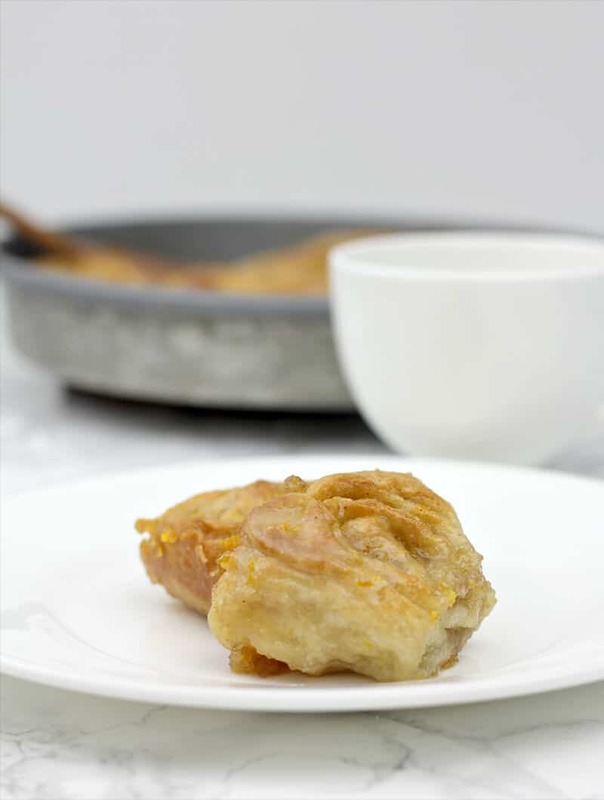 The recipe calls for refrigerated French bread dough so you don’t even have to wait on dough to rise, which is what makes these Orange Rolls so fabulously easy! Just pat the dough into a rectangle that’s about 1/4-inch thick and spread with melted butter. 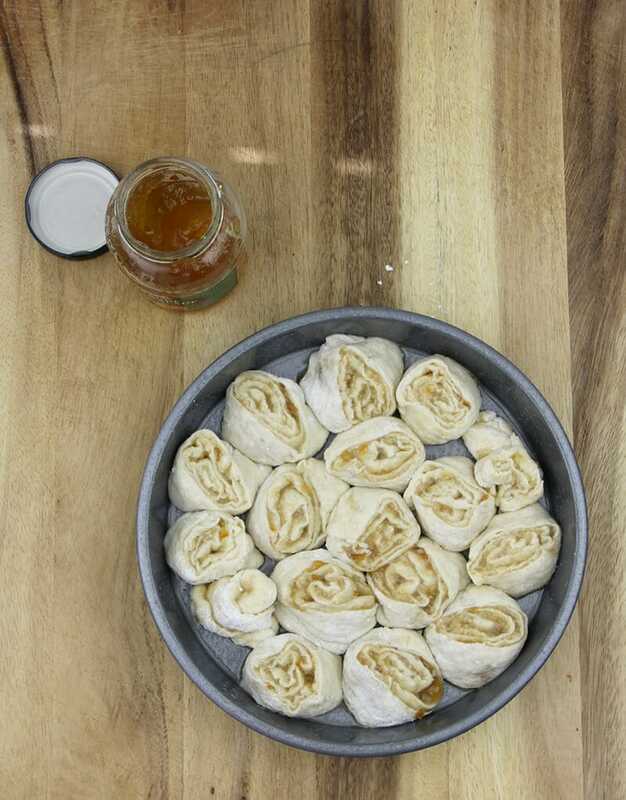 Spread the simple orange marmalade filling over the dough, leaving a 1/4-inch border. Beginning on the long side away from you, start rolling tightly into a log. When you get to the edge closest to you, wet your ringer and run it across the border to help create a seam. Then just pinch the edge to the roll. Flip the log over, seam side down, on a cutting board and slice into 1 1/2-inch thick rolls. 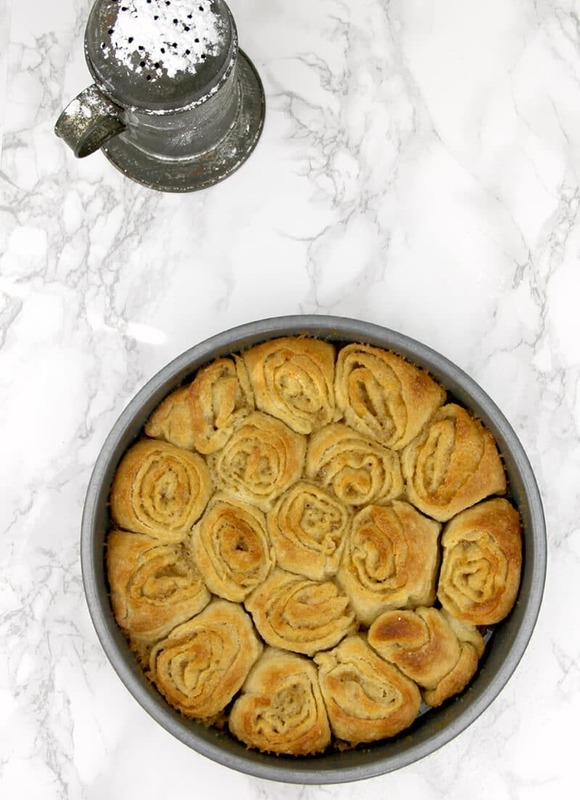 Place the rolls in a lightly greased round cake pan with sides touching each other. Then brush the tops and sides with melted butter. Bake for about half an hour and then pour either the glaze or the cream cheese icing over the baked orange rolls. For the icing, you can do a simple glaze of powdered sugar and orange juice, which I’ve done when I’m in a hurry and it’s just fine. Or you can go just one step further and make a cream cheese icing with a little orange juice and zest, which takes these easy Orange Rolls over the top! 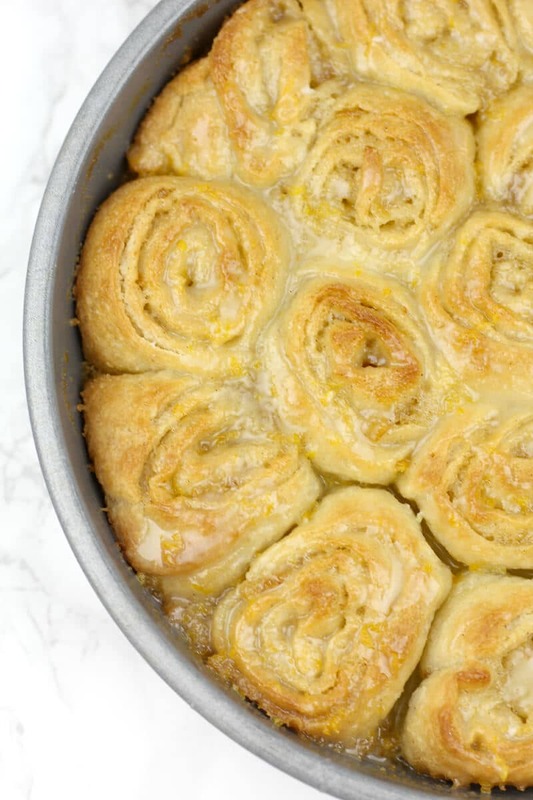 These easy Orange Rolls are made with refrigerated French bread dough, orange marmalade, cream cheese, and orange zest--so simple and kids love them! Beat orange marmalade, brown sugar, orange zest, and ginger with mixer until creamy and smooth. 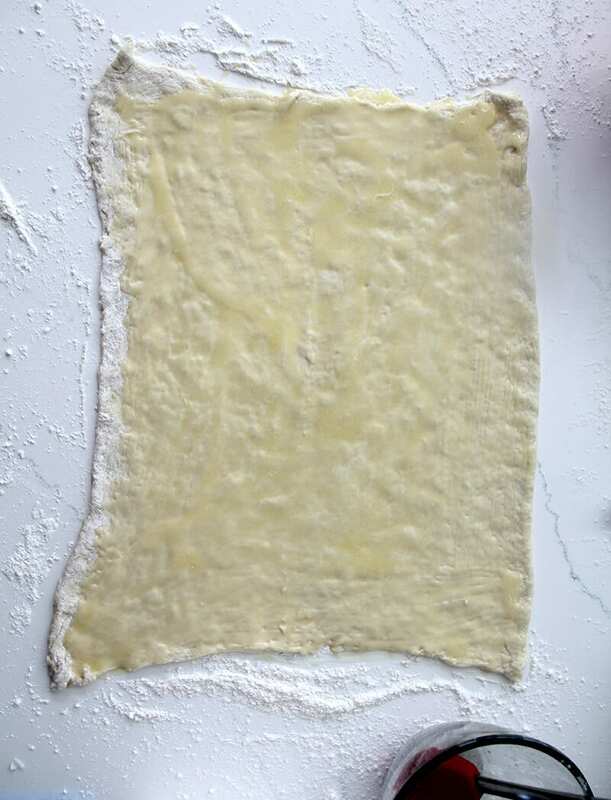 Unroll French bread dough onto a lightly floured surface and pat into a rectangle that’s about 1/4-inch thick. Brush 2 tablespoons melted butter over the surface of the dough, then spread the orange marmalade mixture over the bread dough, leaving a 1/4-inch border. Sprinkle with granulated sugar. Starting with the long side furthest from you, gently but tightly roll up dough, leaving a border. When you get almost to the edge, moisten your finger with water and use it to seal the edge of the dough to the roll. Flip the log over seam side down on a cutting board. Cut into 1 1/2 inch slices and place in a lightly greased pan. Brush top and sides of dough with remaining tablespoon of melted butter. Bake 25-30 minutes or until golden. Frost the rolls with Cream Cheese Icing or Glaze while still warm and serve immediately. Beat cream cheese and butter until creamy and smooth. Add orange juice, orange zest, and vanilla and mix until well blended. With mixer on low speed, add confectioners sugar, then beat on high speed until light and fluffy. Drizzle over hot rolls. Stir together powdered sugar, orange zest, and salt until mixed. Stir in orange juice until smooth. Drizzle over hot rolls. Recipe adapted from Southern Living’s Easy Orange Rolls.